Lone Pine is the largest koala sanctuary in Australia. It’s home to more than 130 of the cute-looking animals as well as other Australian species, such as kangaroos, dingoes and even the elusive platypus. Visitors can feed and hold many of the animals, as well as watch a variety of shows and demonstrations. Start out by holding a koala. They’re in high demand; regulations mean that each visitor gets a turn, while ensuring that individual koalas are only held for a maximum total of 30 minutes a day. You’ll find these animals surprisingly heavy, but as fluffy and docile as they look in the pictures. You can buy a professional photograph of this special moment by pre-ordering one in the gift shop. If you don’t want to hold a koala, you can still visit their tree enclosures to see them laze on the branches or graze on some eucalyptus leaves. Wander through the kangaroo paddock and feed the iconic Australia animals with the food sold at reception. There are enormous red kangaroos and smaller species, including tiny wallabies. Most have lost interest in food by mid-afternoon, so get there early. Watch the amazing looking platypus in its purpose-built swimming pond and then move on to see the echidna. Both are mammals that lay eggs, but they couldn’t look more different! Visit the energetic Tasmanian devils or organize a keeper tour to pat a dingo, feed a lorikeet, hold a snake or stroke a wombat. Included in your ticket are the scheduled shows at the Nature Kingdom show area, with impressive sheep dog and bird of prey demonstrations. The Lone Pine Koala Sanctuary is the in the suburb of Fig Tree Pocket, just over 8 miles (13 kilometers) from downtown Brisbane. You can cruise along the Brisbane River to the sanctuary on the ferry, take public transport or drive. Parking is free. Lone Pine is open every day of the year, except major public holidays, and has a café and gift shop. If you're looking for even more activities, examine our Brisbane things to do page. 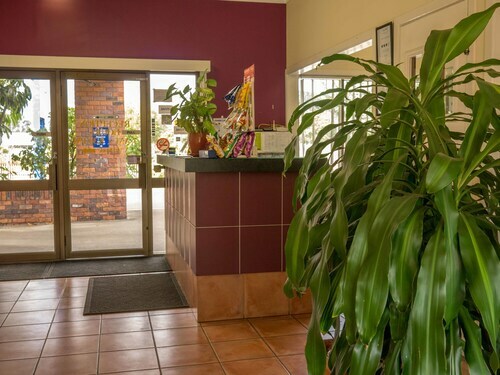 Situated in Mount Ommaney, this motel is 0.3 mi (0.5 km) from Mt. 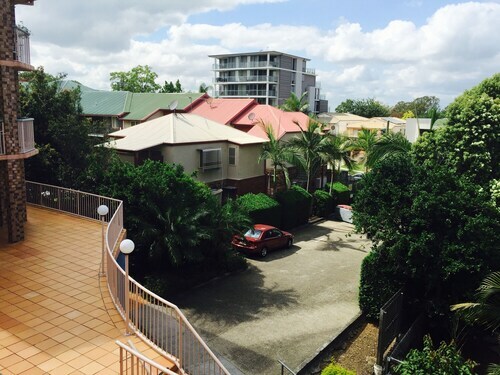 Ommaney Centre and within 6 mi (10 km) of Lone Pine Koala Sanctuary and Indooroopilly Shopping Centre. Toowong Village and XXXX Brewery are also within 9 mi (15 km). 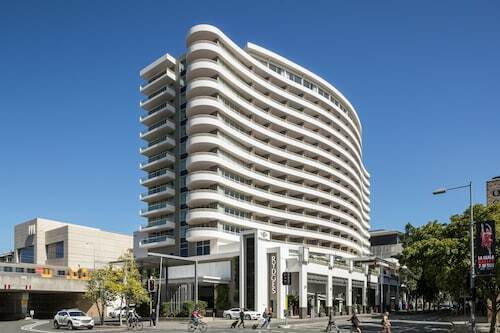 Situated in Indooroopilly, this aparthotel is 0.9 mi (1.4 km) from Indooroopilly Shopping Centre and 2.7 mi (4.3 km) from University of Queensland. Brisbane Indooroopilly Station is 8 minutes by foot and Brisbane Taringa Station is 16 minutes. 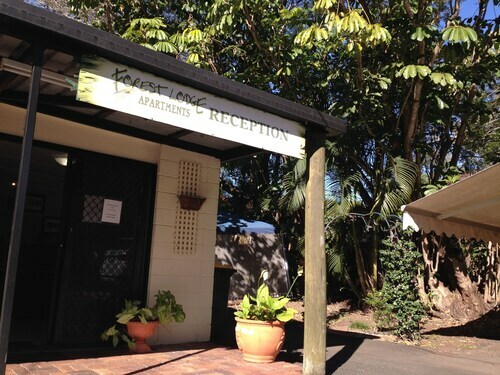 Situated in Indooroopilly, this apartment building is within 3 mi (5 km) of Indooroopilly Shopping Centre, Lone Pine Koala Sanctuary, and Toowong Village. The Wesley Hospital is 2.6 mi (4.2 km) away. Brisbane Indooroopilly Station is 7 minutes by foot and Brisbane Chelmer Station is 18 minutes. 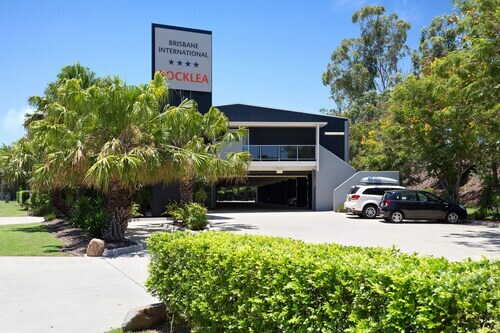 Situated in Oxley, this motel is within 6 mi (10 km) of Griffith University, Queensland Sport and Athletics Centre, and Queen Elizabeth II Jubilee Hospital. South Bank Parklands and Brisbane Convention and Exhibition Centre are also within 9 mi (15 km). Brisbane Oxley Station is 27 minutes by foot. Situated in Oxley, this motel is 3 mi (4.9 km) from Mt. Ommaney Centre and within 6 mi (10 km) of Griffith University and Queen Elizabeth II Jubilee Hospital. South Bank Parklands and Lone Pine Koala Sanctuary are also within 9 mi (15 km). Brisbane Darra Station is 26 minutes by foot. 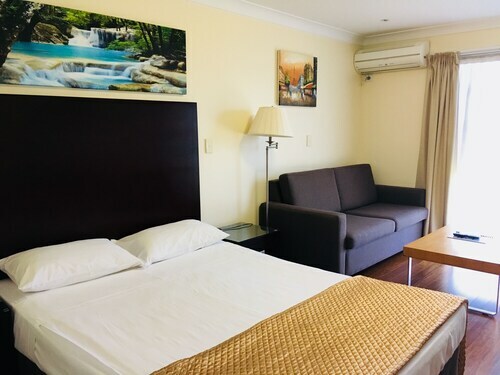 Situated in the business district, this motel is within 6 mi (10 km) of Griffith University, South Bank Parklands, and Brisbane Convention and Exhibition Centre. Princess Alexandra Hospital and Greenslopes Private Hospital are also within 6 mi (10 km). Brisbane Rocklea Station is 7 minutes by foot and Brisbane Moorooka Station is 21 minutes.